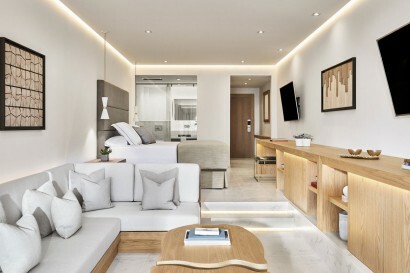 This seductive and stylish resort IS the ultimate escape for those looking to spend some time alone or for friends and couples to gather socially. Set directly on the ‘Golden Mile’, one of the most vivacious and lively locations in Spain, Nobu Hotel Marbella is curated for the playful. 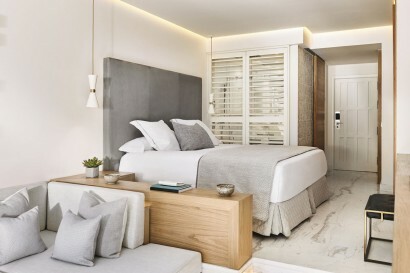 High-spirited and irresistible, with a buzzy vibe and superb gastronomy, you will know you have arrived somewhere special from the moment you step through the doors. From VIP access to Marbella’s chicest nightclub, spectacular dining verity a world-class service and to an unmatched location, only a few meters from the beach, the five-star resort is a gateway to glamour, offering an unforgettable experience. 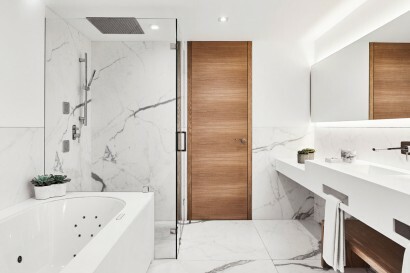 The hotel offers elegant interiors in a rich, natural palette, exclusive Nobu bedding,generously sized, stylish bathrooms and state-of-the-art entertainment systems. We merely set the stage. You choreograph the memories. 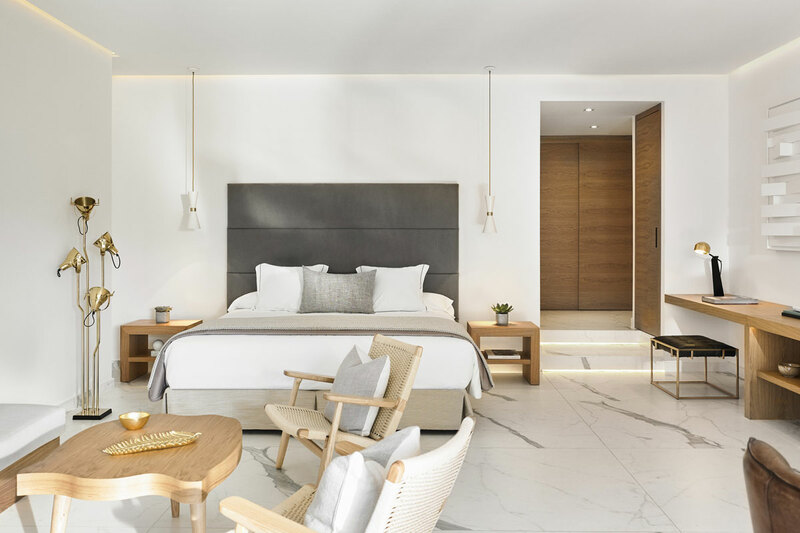 From soaking up the sun at the Nobu pool, in-room signature spa treatments or a leisurely seafront stroll, this is a stay that’s whatever you want it to be. Set above the vibrant and electric Andalusian Plaza, at night the resort comes alive; feel yourself succumb to the pull of the Nobu restaurant and lounge and let yourself be drawn to La Suite nightclub where the party rolls on into the early morning. 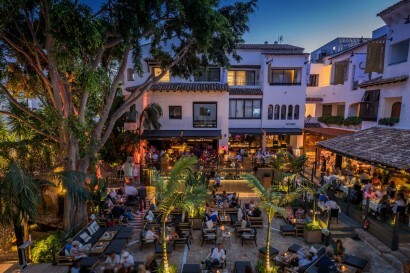 Along with the seemingly endless stretches of sandy beaches, the Mediterranean sea and an abundance of culture, Nobu Hotel Marbella embodies an exotic and spontaneous spirit – a place to enjoy, and to savour an experience, in an atmosphere charged with a sense of being a part of something rather extraordinary. Nobu Hotel Marbella, exclusively for grown-ups, will be the ultimate escape for those looking to spend some time alone or for friends and couples to gather socially. Guests can enjoy a roving mixology cart, offering the finest in-room cocktails, an exclusive Nobu beach, a secluded swimming pool with bar, sunset DJ sessions, Nobu signature dishes served in the comfort of their suite and in-room signature Nobu wellness treatments. Pre-arrival check-in and priority access to Nobu lounge come as standard. Guests can also enjoy private access to ‘La Suite’, Marbella’s hottest nightclub, located on-site. 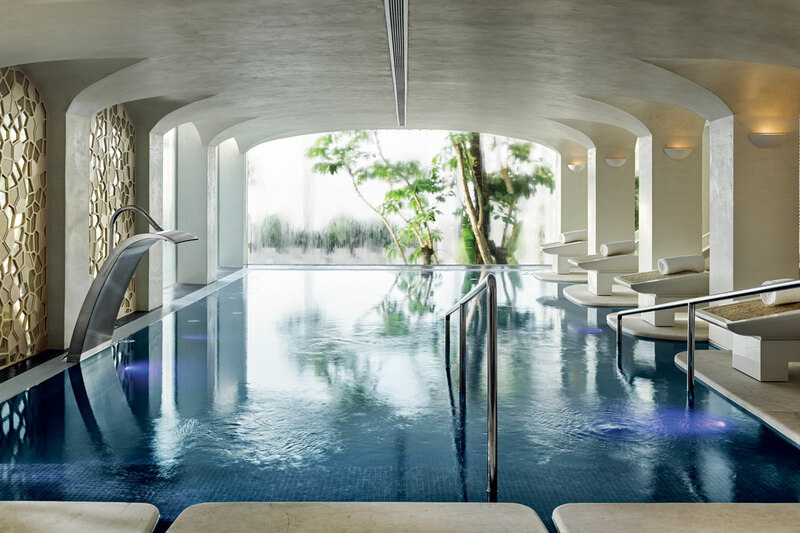 The hotel’s facilities also include a Six Senses Spa, a world-class tennis club, a Dave Thomas designed golf-course, an equestrian centre, and conference and event venues. 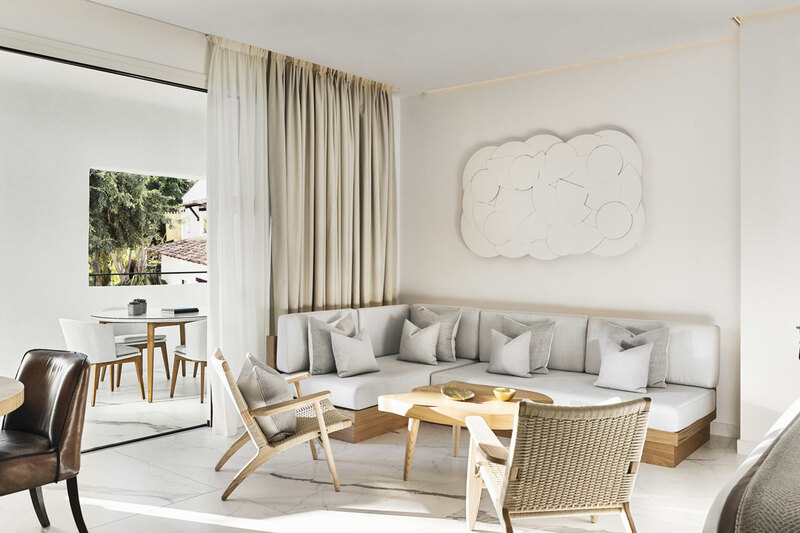 Set directly on the ‘Golden Mile’, one of the most vivacious and lively locations in Spain, Nobu Hotel Marbella is curated for the playful. The surroundings offer a variety of activities such as water sports, shopping tours at the famous Puerto Banus, day trips to Granada, Seville, Cordoba, Málaga, Ronda and Morocco. You can also enjoy boat parties and trips to enjoy the sunset from the sea, or private mini cruises to Morocco, Gibraltar and other destinations. If you are into Golf, discover our 18-hole course designed by Dave Thomas, situated 20 minutes from the resort. Visit Ascari race track, a paradise for motor lovers, the longest track in Spain and one of the most spectacular in the world. 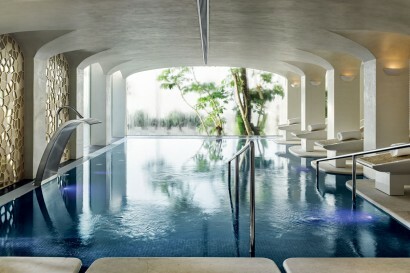 Nobu Hotel Marbella is adults only. Nobu Restaurant features exquisite Japanese-fusion cuisine with signature dishes such as the Yellowtail with Jalapeño and Black Cod Miso. 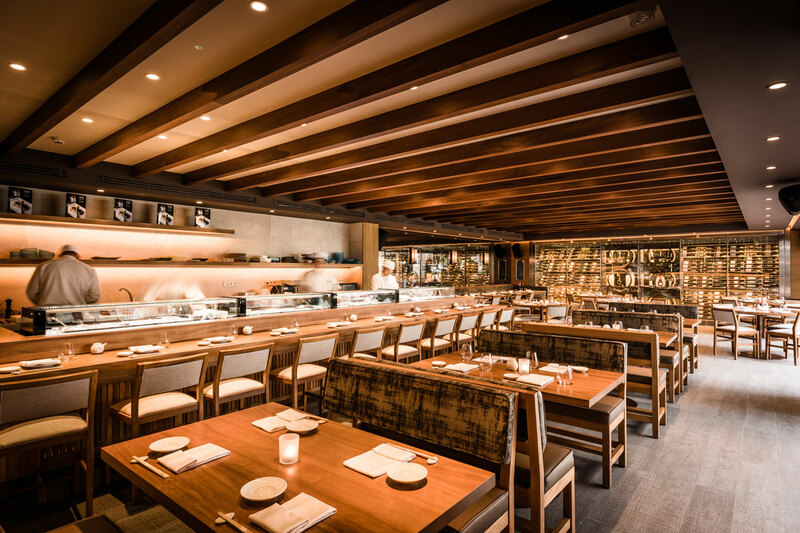 Guests can dine at the sushi bar, in the dining room or at the Nobu terrace overlooking the Plaza in the heart of the hotel. Eleni Manousou is the executive chef of the restaurant and enjoyed a special formation by Nobu Matsuhisa himself. 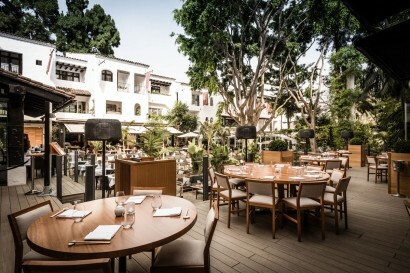 The exploratory cuisine of Michelin-starred Dani Garcia, the classic attractions of an authentic Italian trattoria, contemporary tapas, classic Argentine Asado and much more is all within a few steps of Nobu Hotel Marbella. These beachside restaurants with their stunning views out over the Mediterranean towards Morocco include a chic rustic outpost of Ibiza’s famous ‘Chiringuito’. 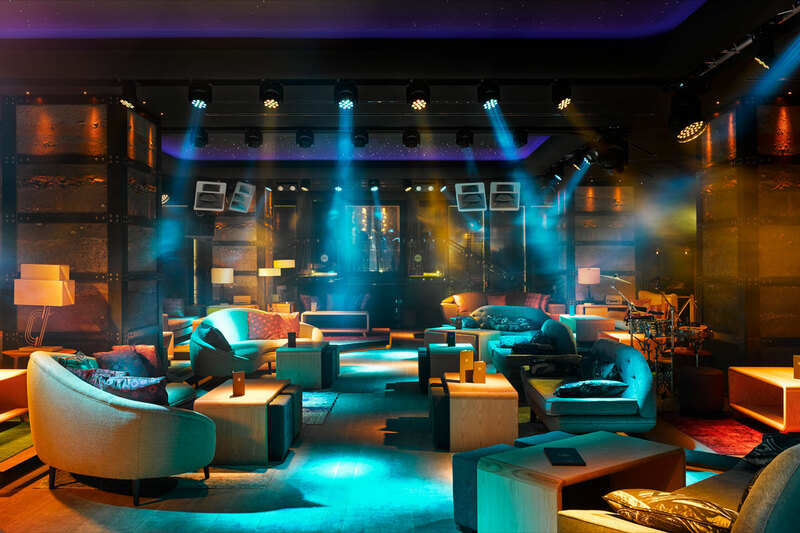 The Nobu private social space is an exclusive area for up to 60 people on the top corner of the hotel for small private reunions or conferences, party and/or special celebrations.